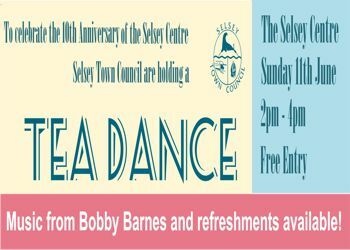 On Sunday 11th June we will be holding a Tea Dance at the Selsey Centre from 2pm to 4pm to celebrate 10 yeras of sport, leisure and pleasure at the Selsey Centre. Bobby Barnes will be providing musical entertainment and a range of refreshments will be available to purchase. Entry is free so dust of your dancing shoes and come and join the fun!